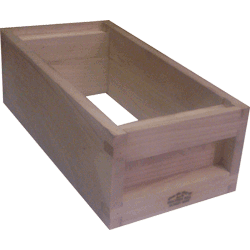 British National Long Hive, Extra Deep 14x12 Box. 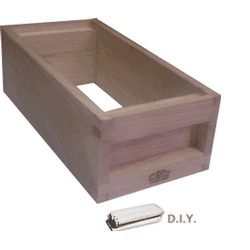 Fully assembled, no DIY needed. 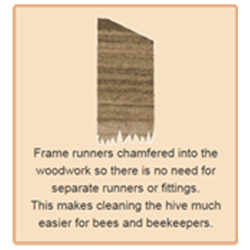 All woodwork is knot free untreated solid timber - weather proofing wood treatment is recommended to keep hives dry. 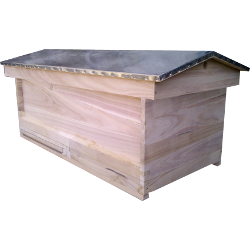 Long or horizontal hives are a popular method of keeping bees. 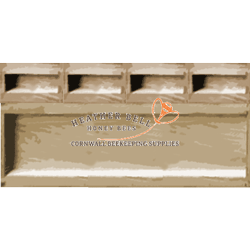 Our National Long Bee Hives are exactly twice the width of a National Standard bee hive. 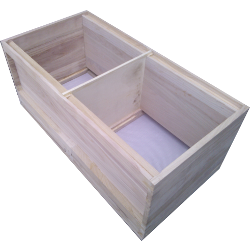 This allows both Standard and 5 Frame boxes to be used on top. Varroa Mesh Floor incorporating 2 entrances including 2 way entrance blocks and sliding Varroa inspection trays. 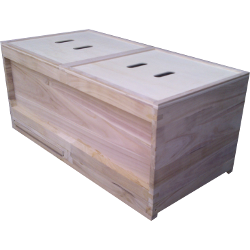 This can be supplied filled with 24 Hoffman self spacing Extra Deep 14x12 frames assembled and fitted with wired beeswax foundation and 2 Dummy Boards. 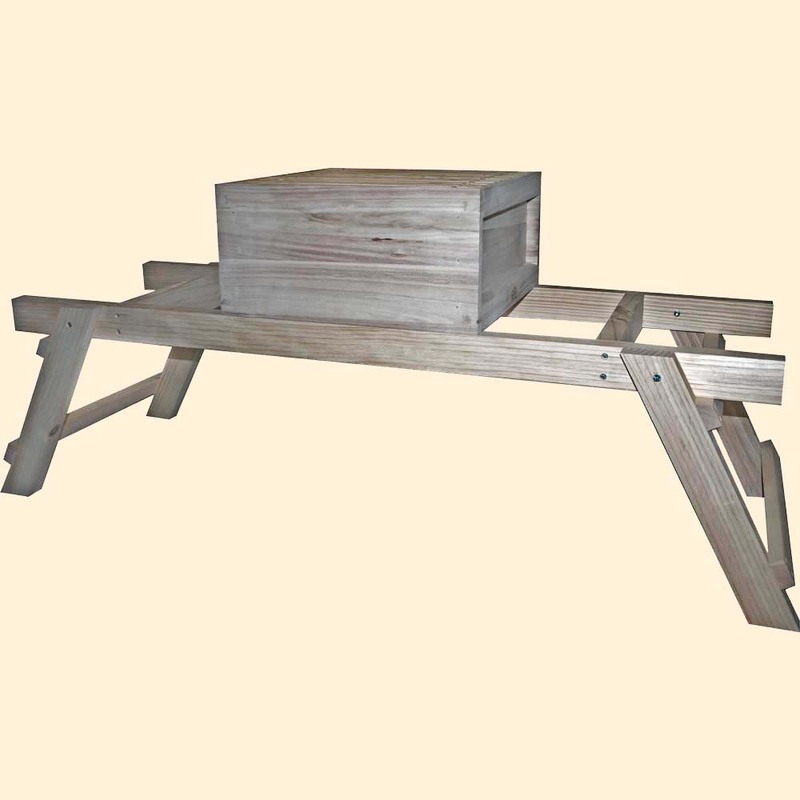 The Long Folding Bee Hive Stand can be added. 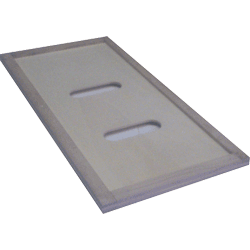 This is designed to bring the hive to a convenient working height.